Design an iPhone 7 PLUS case. Extra protection on the inside. A personal photo on the Tough Case, printed around the edges. 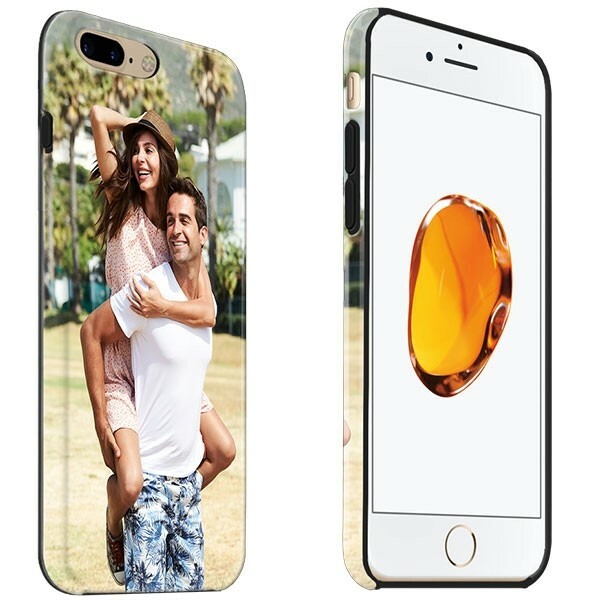 The Tough Case is a case that has the image printed around the edges. Of course, you can benefit from this. Show your creativity by making a beautiful design on the back and sides. Add photos that are on your computer's hard drive, or use one of the nice pictures from your Facebook or Instagram account. This way you can design a unique iPhone 7 PLUS case. In addition to photos, it is also possible to add some text to your phone case. 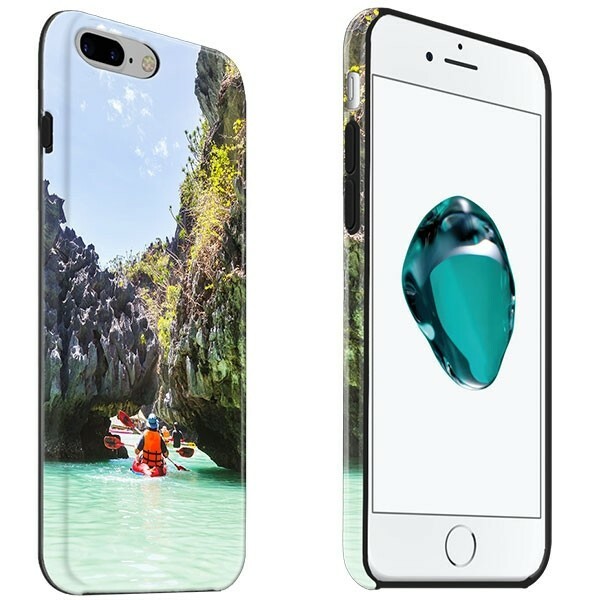 Combine your pictures with some nice text and design a beautiful case for yourself or someone else! Have you finished the iPhone 7 PLUS case design? Then placing your order is the next step. We have several payment options at GoCustomized. After payment, your case will be shipped as soon as possible. Orders placed by 3pm will be produced and shipped the same day. If you still have a question or if you want more information, you can always ask our customer service!